Hiring a new employee is a dicey proposition. Candidates face pressure to impress to be sure, but hiring managers are also under the gun. Selecting a candidate that performs poorly can damage their reputation and call into question their leadership and decision-making skills. No one wants you to do well more than the person who hired you. So having the skills to do the job is not enough, hiring managers are on the look out for signs of clear motivation. They want the type-A, go-for-it, burn the midnight oil employee who will make them look good. So what if you’re a high performer, but one who needs a little flexibility on where and how you get the job done? How can you convey the requirement and close the deal without looking like a high-maintenance slacker? Research the Culture: Some organizations are known for flexible work policies while others have a more traditional approach so it’s important to research the company’s culture and practices before you interview and certainly before your accept an offer. Consider Your Role: While most positions given technology allow for remote work, others do not. You can’t outsource a haircut and you can’t be a work at home receptionist. Consider the demands of your job and then have a candid conversation with the hiring manager if flexibility seems reasonable. Negotiate: Once an offer of employment is presented negotiate the flexible work schedule like any other benefit. Also, you can foreshadow the request earlier in the process (so you’re not springing it on them) by noting how you achieved superior results in your last job under similar conditions. And that is the key: focus on results produced not accommodations sought. Be Specific: Finally, it’s important to be specific as possible regarding what you’re requesting. 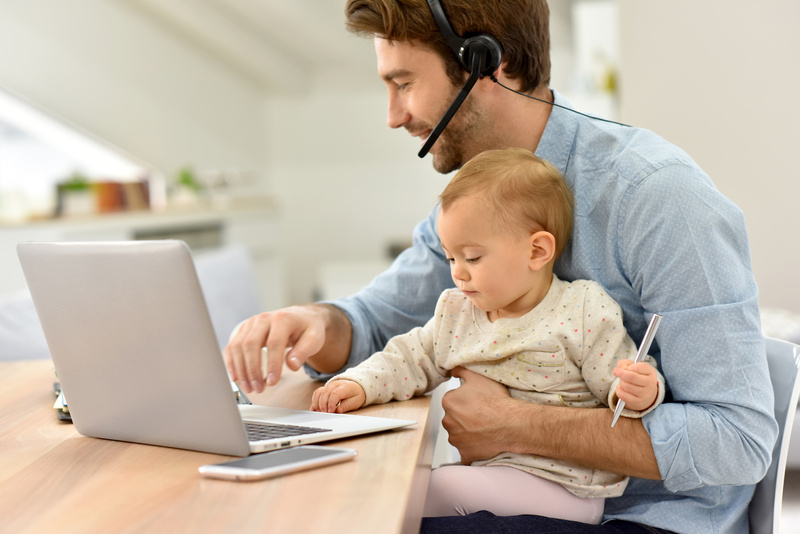 Do you need to work at home full time, two days a week, or adopt a flexible schedule that allows for core office hours for meeting and more flexibility at the bookends of the day. Share the Why: Does your flexible schedule request stem from a personal preference such as an introvert needing a day or two away from the cube farm to crank out great product or an employee with a long commute that wants to save some sanity on the Friday rush? Is it a lifestyle-driven need such as a requirement to pick up the kids from daycare at certain time or a health-related accommodation request? Sharing the reason for your request may help you sell it, but remember you don’t need to divulge any personal information and decisions on these matters should be fair and consistent across job roles. Most managers would hire results over activity any day. Prove you can do the first and the topic is a non-issue. Posted in Blog and tagged flexible schedule, tim toterhi, work at home, work life balance.